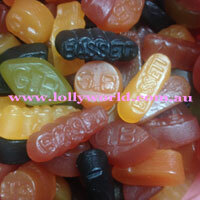 Bassetts Wine Gums is the chewy pastille style sweet is made in the United Kingdom. Wine Gums were introduced in 1909 and originally produced by Maynards. Wine Gums have just released a new recipe.